Nassau, Bahamas–Bristol Wines and Spirits plans to heat up the Holiday Season with several new products and flavours at this year’s BNT Jollification “Rockin’Around the Christmas Tree” Arts and Crafts Festival, which it has sponsored since the event’s inception more than 20 years ago. Bacardi Rum Cake samples will be readily available, too. This “Rocking” Jollification 2014 is scheduled to open from 5 -8 p.m. Friday, Nov. 21 for BNTMembers Night; Sat. Nov. 22 and Sun. Nov. 23 11 a.m. to 5 p.m., all in the expansive Retreat Garden” on Village Road, Nassau, headquarters of The Bahamas National Trust. 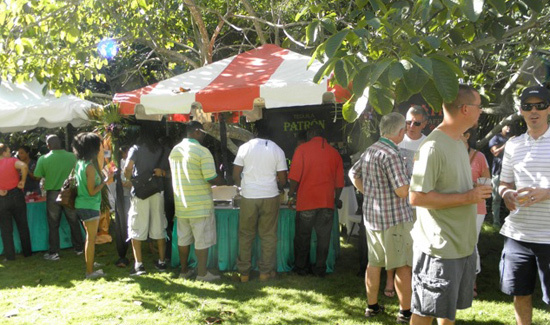 Bristol Wines & Spirits–a major attraction as well as a major sponsor–offered adults the opportunity to sample more than 23 different beverages at stalls grouped together in the outdoor “Mistletoe Lounge at Jollification 2013.” The company also is the major sponsor for Grand Bahama’s upcoming “Festival Noel” and for the rescheduled BNT Wine and Arts Festival, now set for Jan. 31, 2015. At Jollification 2014 guests can collect and sample recipes and a wide variety of Bristol spirits and liqueurs. Seasoned Bristol Wines and Spirits staff, volunteers and visiting expert mixologists pour and answer questions. BNT executives including Eric Carey, Executive Director of the BNT, Co-Chairpersons Robin Symonette and Sally Varani-Jones and their committee and volunteers plan all year to make the event ever more informative and enjoyable for all ages. Kids of all ages enjoy Face Painting, Ice cream and Cotton Candy. The Children’s Crafts Corner, sponsored by Asa H Pritchard draws a huge crowd to the bright enclosure at the front of the garden. A visiting Bahamian Boa Constrictor usually charms the children who make Christmas ornaments, decorations and party favours. The many food stalls formed Food Courts in several different areas last year. Among the jolly culinary delights expected are: baked goods from The Inner Wheel Club of East Nassau; Greek booths; international foods from many countries, baked crabs and dozens of other tasty treats. 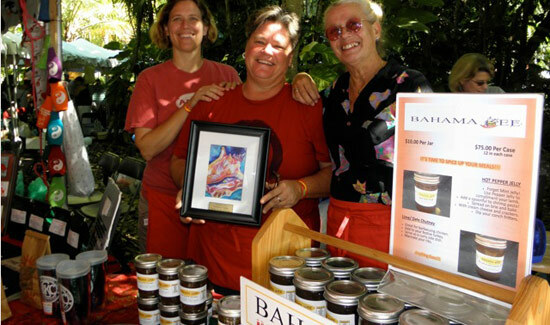 In 2013, An even larger number of booths than ever included several plant booths, hand crafted Christmas ornaments and gifts, local jams, elegant jewellery, straw work, plus BNT memberships and the ever popular book stall, relocated to the Poincianna Lawn. 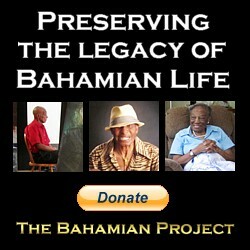 “The best advice is join the Bahamas National Trust and come to Christmas Jollification member’s night on Friday, Nov. 21,” says Sara Parker, a devoted fan of the massive charity event and arts and crafts festival. “The best gifts and plants go really fast so this gives you the best shopping time,” she added. Trolley’s full of rare plants, books and crafty gifts are already loaded and leaving for the parking lot by 11:30 a.m. on the Saturday, which opens at 11. Orchids and bromeliads are popular treasures for home decor and gifts. Mrs. Lynn Gape, BNT public relations and education officer says tickets can be purchased in advance at the BNT Office, The Retreat, Village Rd. : Admission is $10 for Adult non members; $5 for Adult BNT Members; $3 for Children aged 5-17, Free for those under age 5.